Gustavo Fernández de Loyola, a Managing Partner at ARCU Capital, was featured in one of the main articles in the 350th Edition of Istmo Magazine, a leading publication in Mexico covering entrepreneurship and leadership stories. Gustavo Fernández de Loyola addressed the surge of search funds in Mexico and their relevance as an upcoming asset class in Mexico. 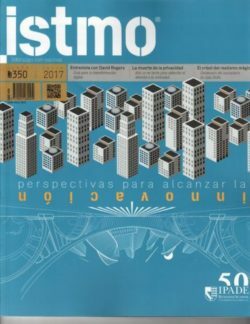 Istmo Magazine was founded by IPADE, the leading business school in Mexico. Gustavo Fernández de Loyola is a senior lecturer and regular keynote speaker at IPADE. ARCU Capital is a private equity firm focused on lower middle-market companies across a wide range of industries. Since its founding, ARCU Capital has invested in superior businesses in attractive industries, always as a lead investor. The firm focuses on investing in sound businesses with established operating histories, rather than startups and turnarounds. For more information on ARCU Capital, please visit www.arcucapital.com.